He points to the quickly growing number of Chinese tourists in the north and an expanding engagement of Chinese authorities and business. Chinese companies are increasingly investing in regional infrastructure, industry and shipping. The stronger role of China is seen both in northern Scandinavia and Arctic Russia. 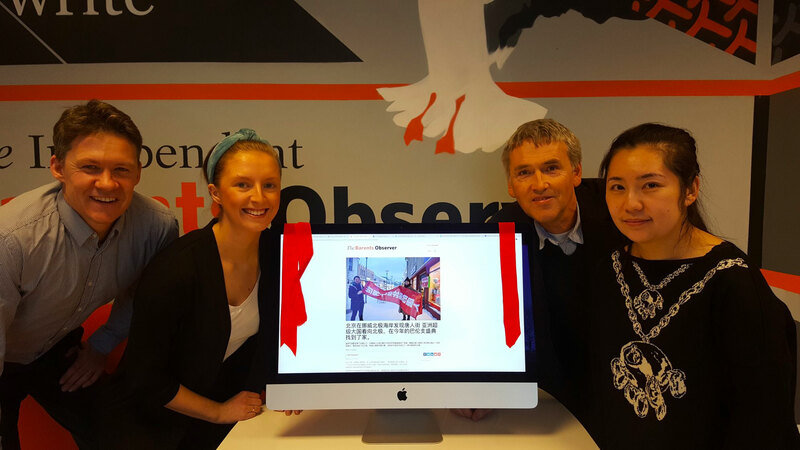 The Barents Observer is an independent news company owned by its journalists. It strictly follows Norwegian and international acknowledged principles of the free press. «Our stories are made with full editorial independence and we will continue to write freely about regional developments, including about issues considered sensitive by state authorities,» the newspaper publisher says. The opening of the new section is part of a pilot project supported by a local business development fund in Kirkenes, Norway. The stories are translated from English by a local translator. Unlike in the Russian version, only selected stories will be translated to Chinese. Staalesen makes clear that he is now seeking partners that can join the development of Chinese-language Arctic news making.